I've spent the past week at the Oregon Coast with my family. There have been 22 people taking up all the space at my grandparents' farm, including my parents, two brothers, six sisters, three cousins, an aunt and uncle, and various significant others. In the midst of crabbing, going to the beach, visiting the county fair and eating lots of good food, I've had a chance to bookspot among my extended family. My grandpa, a big history buff, has been reading The Final Storm by Jeff Shaara. My youngest sister is reading the Harry Potter series for the first time, and she's currently on book five, Harry Potter and the Order of the Phoenix. My dad was reading a novel called Aztec by Gary Jennings. My mom was reading a book about finding time every day to write. I've been reading a paperback copy of the first book of the Song of Ice and Fire series, Game of Thrones, which is an excellent vacation read, and my boyfriend has been reading book two, A Clash of Kings. My cousin was also reading Clash of Kings this week, and my dad has been waiting for me to finish my copy so he can start the series too. I've spotted three Kindles around my grandparents' farm in addition to my own. They belong to my mom, sister, and brother-in-law, though I've seen two of my other sisters reading them too. My seventeen year-old sister just finished The Hunger Games, which kept her occupied for much of the week. 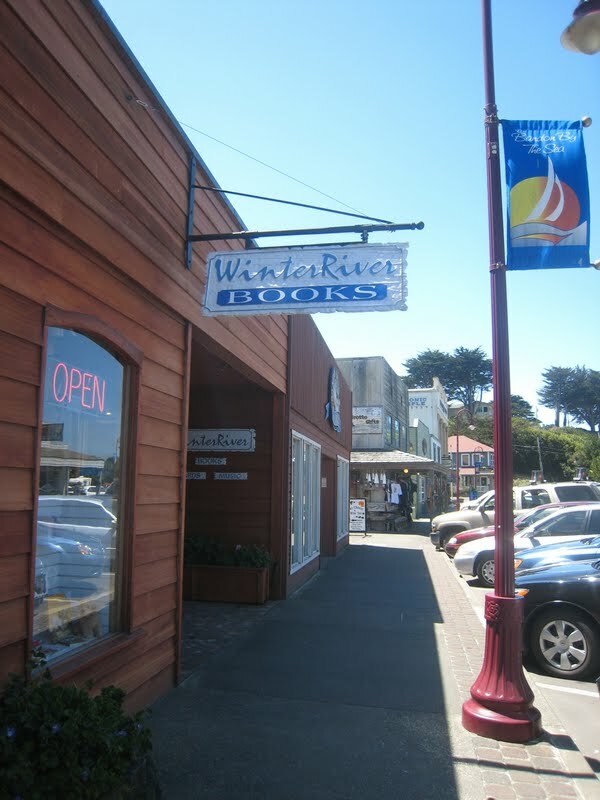 I haven't seen many books around the little town of Bandon, except that I spotted a man in the drivers' seat of a pickup truck reading a paperback with flames on the cover. I visited a lovely little bookstore and bought a copy of Bill Bryson's The Lost Continent in preparation for my big American Road Trip, which begins tomorrow! I'll try to keep you updated as I spot books along the road. I'll return to Hong Kong in mid-August with more walking tours, reviews and bookspotting from Asia. What are people reading in your town this week? Do you have a reading family? The beach looks wonderful, so clean and fresh. Glad you got that B.Bryson book for your trip. I'm reading a book of Chinese short stories by Eileen Chang, husband just finished reading a Ted Dekker thriller he bought at Philadelphia airport a couple of weeks ago and now reading a compilation of letters to the South China Morning Post I got from the library in TST. I saw 2 Chinese novels on the MTR and a man reading a German novel by the pool in our apartment block.A Western woman there had a kindle but couldn't see what she was reading.I've joined a book group,first meeting will be on Wednesday, we'll be reading Wild Swans 3 daughters of China. Looks beautiful. Glad you had a good time. Thanks everyone! Joyce, I'm glad you're keeping up with the HK bookspotting while I'm gone.